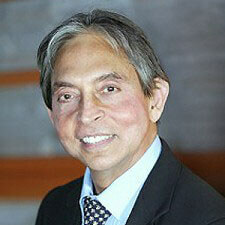 Dr. Rai is a graduate of the University of British Columbia and has been B.C. Board Certified in Plastic Surgery since 1975. He has also been American Board Certified in Plastic Surgery since 1977. From 1989 to 1999, Dr. Rai was Chief of Surgery for the Simon Fraser Health Region, as well as the Chief of the Department of Plastic Surgery from 1983 to 1999. Dr. Rai is also the past president of the Canadian Society of Plastic Surgeons and the Northwest Society of Plastic Surgeons. He currently practices in New Westminster, The Rai Clinic, and at False Creek Health Care Centre and A Smile Above both in Vancouver, BC. Dr. Rai’s unique teaching style and his vast experience in dermal fillers has made him a sought after international speaker. Dr. Rai joins PTIFA’s faculty as director of the Level 4 and Level 5 dermal filler courses. Dr. Rai’s work has been published extensively and he is proud to be actively involved in Operation Rainbow Canada a non-profit medical organization founded by Dr. Rai in 1998. Operation Rainbow Canada is a group of physicians who donate their services to undeveloped third world countries. The organization has helped nearly 1,800 children in Cambodia, India, Lebanon, Mexico and the Philippines, providing them with reconstructive cleft-lip and cleft-palate surgery. Born in Kuala Lumpur, Malaysia, Dr. Rai is married with two grown children and is an avid runner.